Cedar branches whisper in the Anatolian breeze. Twigs crunch underfoot. A truck rumbles from a distant marble quarry. The crack of a hunter’s rifle echoes through the forest. The sounds of tranquility and violence intermingle at the remote hillside home of Aysin and Ali Büyüknohutçu, the Turkish beekeepers and environmental defenders whose murder in Finike earlier this year has sent a chill through the country’s conservation movement. 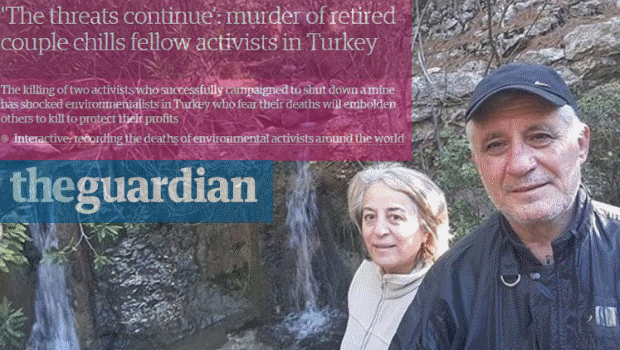 If the killings of the retired couple were not shocking enough, the aftermath – a dubious judicial investigation and the alleged suicide of the key suspect – have raised questions in parliament and the media about the priorities of prime minister Recep Tayyip Erdoğan, who increasingly seems to care more about the economy and concrete than lives and the environment. Ali and Aysin were organic farmers who moved to a remote forest home so that they could be closer to nature after they retired. Ali and Aysin Büyüknohutçu who were killed in their home after winning a campaign to shut down a marble quarry. A hand-painted sign above their gate reads “Ali Baba Çiftliği” (Father Ali’s Farm), a joking reference to the ditty that Turkish children sing to the tune of Old MacDonald. Their two-storey house and garden – carefully laid out in neat rows of vegetables – sits in a clearing among cedar and pine trees. Their house itself is testimony to the couple’s commitment to each other, their country, their family and the environment. Two cups sit by a kettle on the stove next to an open sugar bowl. Pride of place on the wall is a portrait of Mustafa Kemal Atatürk, who founded the Turkish Republic out of the ruins of the Ottoman empire. Below it are several stacks of books – bedtime stories for their grandchildren, and publications on global issues: Can a City Be Sustainable?, Worldwatch Institute on the State of the World 2016 and A Guide to Organic Farming. They could not avoid them. The road up to their home passes from the turquoise coastline of the Aegean through pomegranate and orange groves to a dusty orange quarry – one of more than a dozen in Finike. The opencast mines divert rivers, blast rocks with TNT and stir up dust that chokes the surrounding vegetation. When the couple discovered that some had also been opened close to heritage sites in contravention of licensing regulations, they took action. Long involved in leftwing politics, consumer rights groups and residents associations, the couple linked up with several friends to form a group called Toraçder. They were up against powerful business interests. Turkey boasts 40% of the world’s marble reserves and nine out of 10 quarries are found in Anatolia. They are a mainstay of the regional economy and the country’s $2bn-a-year natural stone export business. China is currently the biggest customer, but Turkish marble is also found in Disneyland, the White House, the Vatican, Burj Khalifa, the Bundestag and luxury hotels across the world. Among those with family connections to the industry are the Finike mayor and the head of the Turkey Marble, Natural Stone and Machinery Association Selahattin Onur. Undaunted, Ali, Aysin and their fellow campaigners launched a successful challenge that shut down two marble companies Bartu Mermer and Bahçeci. Bartu Mermer fought back with a defamation lawsuit against Ali. But he won again in March 2017. The judge not only acquitted him, but also cancelled the company’s operating license. Hailing the victory, Ali predicted it would be the first of many. “Before, citizens were scared to sue companies – now the decision will encourage all environmentalists,” he declared. Ali and Aysin Büyüknohutçu discovered some mines had been opened close to heritage sites against regulations. Two months later, he and his wife were dead. Today, the murder scene has been cleaned up, but the hallway wall is pocked with pellet marks as is the window over the threshold. Police say Ali was gunned down with a sawn-off shotgun as he opened the front door and shone a torch towards the intruder. He then fell to the ground, close to where he had earlier discarded his beekeeping gloves, hat and veil – which still lie in a heap on the stairs. The killer is then assumed to have chased Aysin to the verandah, where she had gone to scream for help. Strangely, she was found with her arms above her head as though she has been dragged to the site and her body was face up although forensic experts say she was shot from behind. The neighbours – who live out of sight but within earshot – say they heard nothing. A suspect – Ali Ymaç – was quickly found and arrested. He confessed to carrying out the execution in return, he said, for a promise of 50,000 lire (£10,000) from a quarry owner who he knew only by the alias “Çirkin” (Ugly). Yumaç said he was paid 3,000 lire up front and promised the rest on completion. He was instructed to make the killing look like a robbery. That ought to have been where the Turkish justice system cranked into high gear to track down those behind the assassination. Instead, it was the starting point for months of delays, obfuscations and another death that has frightened and frustrated activists and raised wider questions about the country’s slide away from democratic rule of law. Within weeks of his imprisonment, Yumaç changed his testimony to say he acted alone. Police concluded he wanted to rob the couple to buy heroin. The killer had a history of drug-related arrests, but it was odd that the laptop and other electronic goods taken from the home were dumped in the well instead of sold. There were other mysteries that were not adequately explained by the official report: Where was the murder weapon that he said he had stolen? How had he climbed the five-foot-high barbed-wire fence, as he claimed? How had he entered without disturbing the two fierce Anatolian shepherds that the Büyüknohutçu’s kept as guard dogs? Last month, the public prosecutor was finally ready to submit his indictment, which meant the family’s legal team would get their first opportunity to question Yumaç on the record. He had told them he was ready to reveal everything. He never got the chance. Days later Yumaç reportedly committed suicide in a high-security prison where he had been moved for his safety. Guards claimed he hung himself in a toilet with elastic from his clothing. Many find this incredible. For Turkey’s environmental campaigners, this is part of a broader alarming trend. Onur Akgül, a campaigner for the Northern Forests Defence conservation group put the case in the broader context of Erdoğan’s increasingly authoritarian rule and drive to boost the economy at all costs. Erdoğan refutes such claims. He says his pro-business policies are in the national interest and accuses those who try to impede development as traitors and terrorists. Environmental defenders have been under suspicion since 2013 when a small group of activists tried to resist plans to turn Istanbul’s Gezi Park into a shopping mall. Their demonstration morphed into the biggest anti-government protest in memory with hundreds of thousands taking to Taksim Square and streets around the country. Eight people died and thousands were injured in clashes between the riot police. “For what?” a scornful Erdoğan asked afterwards. “For 12 trees!” Since then, he has pushed ahead with several massive infrastructure projects – a third airport, a third bridge over the Bosphorus and a new canal – that environmentalists say has led to the felling of 100 million trees. 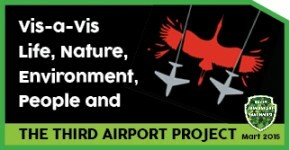 Those who stand in the way of these and other projects feel vulnerable. 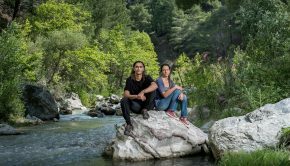 Nobody is feeling the pressure more than Tuğba Günal and Birhan Erkutlu, who have been campaigning against a cascade of hydroelectric dams near their home in the Alakır Valley in Antalya. The dreadlocked, nature-loving couple have received death threats, been accused in defamation suits and labelled terrorists. Last month, shots were fired at their home. 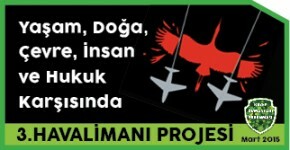 They believe the murders of Ali and Aysin have emboldened those willing to break the law to push through projects. 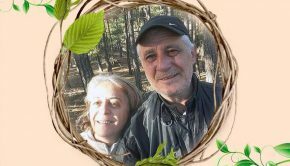 With forest conservation now such a sensitive political subject, supporters of Ali and Aysin are in a difficult position. 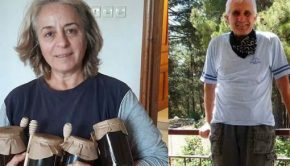 They plan to turn the dead couple’s home into a eco-residency, to establish a memorial park in Antalya, and to continue the campaign against the quarries and to get justice for the killings.